Always wanted to dance to Mexican music, but were afraid to try? Now you can! 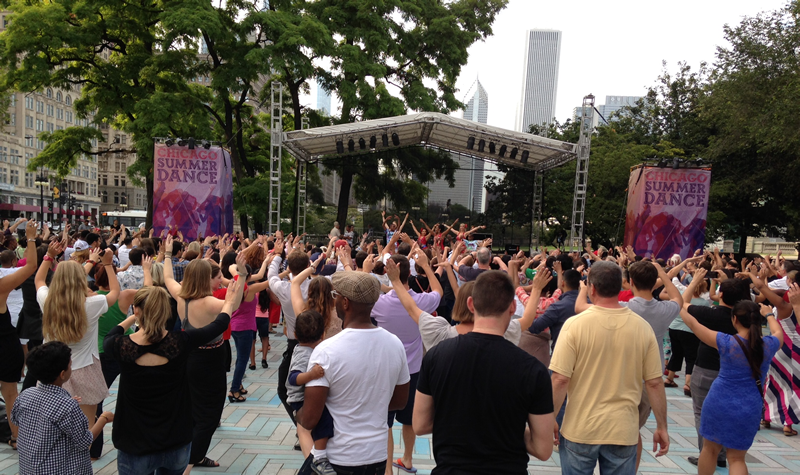 Join us on Chicago’s front lawn for a FREE Chicago SummerDance concert! There will be lessons in Veracruz Folk Dancing and Mexican Polkas by our very own Lorena Iniguez from 6 to 7PM, then Sones de México Ensemble takes the stage at 7:30 for two full sets with a brief intermission. The 20th season of Chicago SummerDance is presented by the Chicago Department of Cultural Affairs and Special Events. For more information, visit http://www.cityofchicago.org/city/en/depts/dca/supp_info/chicago_summerdance.html.